We have for you beautiful rose which one can make your interior more beautiful and creative. 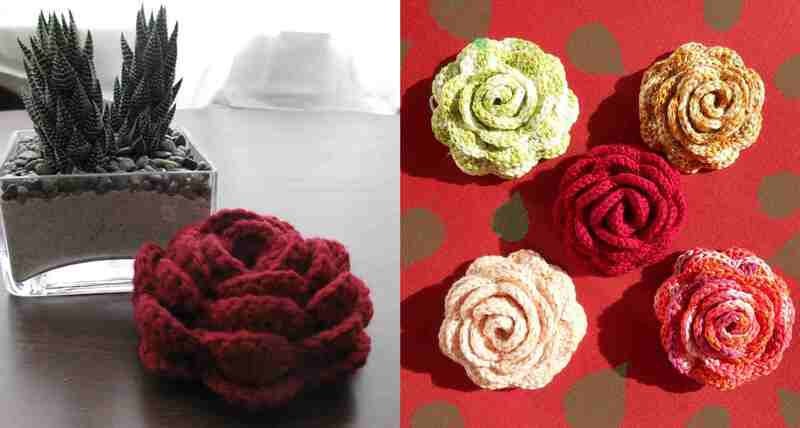 You can also crochet them as brooch and make your everyday look more attractive. We want to say thank you to author Daniela Herberts. Daniela made a clearly explained written pattern and awesome design and sharing for free to us. Good luck and we hope you will understand everything easily.